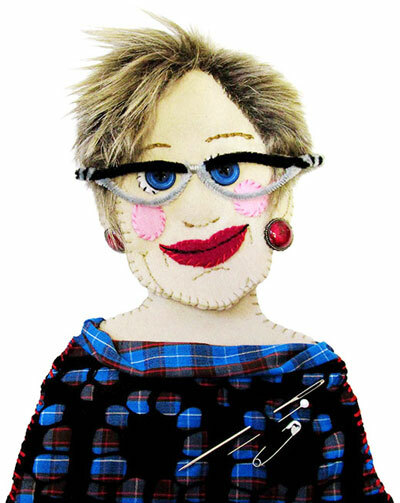 Fifi Colston is a many things artist; writer, illustrator, arts and crafts demonstrator, props and costume maker and wearable art designer, She usually has at least five things on the go at one time. 'I have a very low boredom threshold!' she says. Fifi is a published novelist, her 3rd junior fiction novel Glory shortlisted for the LIANZA Esther Glen Award. Her two more recent nonfiction titles on creative costuming for kids Wearable Wonders and Ghoulish Get Ups have both won awards with Wearable Wonders earning the Elsie Locke Non Fiction Medal. She has two grown children, a husband and a cat called Tre. Tre's white hair gets on everything and she spends a fortune on lint rollers to keep her works clean. Wellington is the city of her heart and she plans to be a very old lady doing art and craft as long as she can still get up the steps to her house with a bag full of felt and an arm full of paint. Her idea of the best birthday in the world, is to be left alone in her studio to make things whilst the family brings her cups of coffee and cheese scones. Bliss!